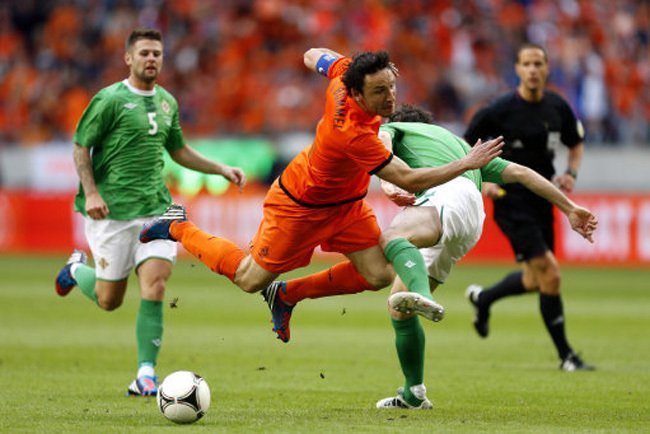 While Spain and Germany might be the two most fancied sides ahead of Euro 2012, the Netherlands must be in with a shout of glory this summer. 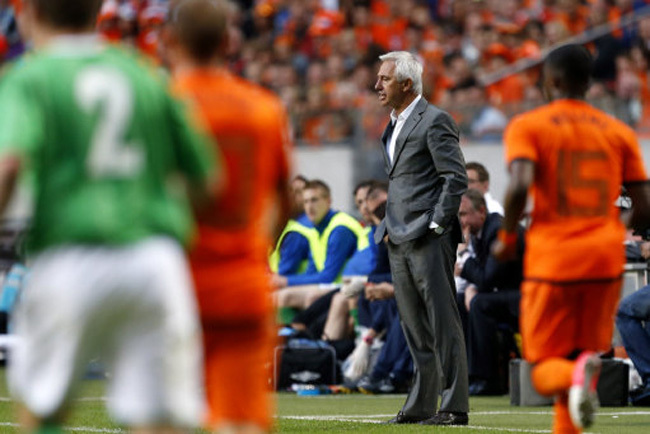 With too many semi-final and final defeats in major tournaments, the Dutch deserve a bit of luck in Poland and Ukraine. However, after a superb qualifying campaign, they are now looking rather tasty, following a 2-0 win against Slovakia with a 6-0 friendly mauling of Northern Ireland on Saturday. Robin Van Persie bagged two goals and two assists, while Barca winger Ibrahim Afellay also netted a brace. 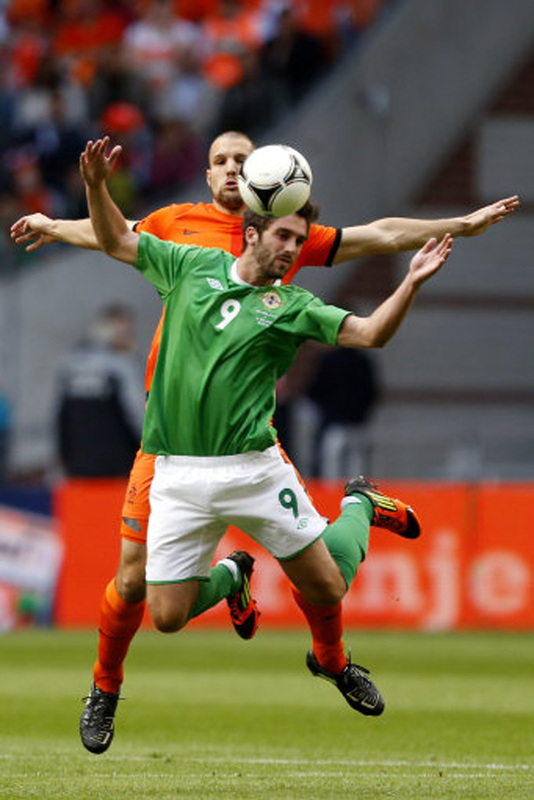 Wesley Sneijder and Ron Vlaar were also on the scoresheet as a severely understrength Northern Irish side shipped six goals for the first time in 51 years. I fully expected us to get a hammering, especially since at least 8 of our first team pulled out through “injury” or “other commitments”. It was a pointless game. We learned nothing about our reserve players as they were totally outclassed by one of the best teams in the world, and the Dutch learned nothing by playing against a team who (when full-strength) are ranked 96 places below them. Northern Ireland should just give up. There are one or two players every few years that would fair well in an All-Ireland Team. Jonny Evans would be great in Euro 2012 along side Dunn and Given. Ireland would be higher than just 13th in Europe. It works so well in Rugby – We could be Champions.